The goal is to reduce the total number of words of our guidance content by 80% without leaving gaps in what people need to know. 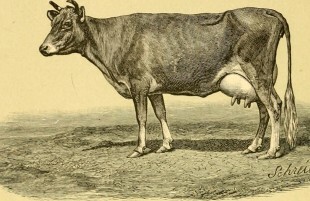 Under the vast majority of circumstances, provided they are of sound mind and resident wholly in the UK (or partly but recognised as being resident there for tax purposes by HM Revenue and Customs), it is generally the case, that farmers may not stand numerous cows one on top of the other in tight spaces as detailed in the Cow Stacking Prohibition (Cow Depth) Act, 1923. You can’t stand cows on top of each other. We don’t publish guidance that leaves farmers open to prosecution, or Defra open to legal challenge. Making sure it’s accurate can be where the fun starts. Let’s say a subject matter expert at Defra reviews our work and says that every single word of the original must be included in order for it to be factually accurate. Each cow must have at least 2 square metres of space to stand in. You must not stand cows on top of each other. what do they need to know in order to do it legally? We know who the audience is from web analytics data and advice from the subject matter expert. Let’s say in the example above, the audience is farmers living on farms in the UK. That means we can leave out anything on residency and HMRC. If they aren’t some strange niche farmer dealing exclusively in stackable cows bred specifically to live in studio flats, they don’t need to know that it’s ‘generally the case’. For the average cow farmer, the rule is clear. If the farmer is looking for the rules so they can apply them in their work, rather than challenge the government cow-depth regulation body in court, they don’t need to know which law this rule relates to. We then meet the user’s need in as few words as possible - partly so they can get on with living their lives and partly because people don’t read long and complicated web content. When the discussion between subject matter expert and content designer is based on user need, it’s a fruitful, efficient discussion. We publish high-quality content, quickly. Everyone benefits - particularly the user. Follow Padma on Twitter, and don’t forget to sign up for email alerts.